An Iranian researcher says he has managed to prevent the growth of breast cancer cells by producing a drug containing species of a plant genus commonly known as spurge. Vahid Safaei-Rizi, a researcher at the School of Pharmacy and Pharmaceutical Sciences of Isfahan University of Medical Sciences, says he has used species of the plant genus euphorbia to make a drug that can prevent breast cancer cells from growing. Euphorbia is a very large and diverse genus of flowering plants, commonly called spurge, in the spurge family (Euphorbiaceae). According to a Farsi report by ILNA, he added the impressive scientific achievement was an outcome of a research project he had carried out in cooperation with his professors Mostafa Qannadian and Mahmoud Aqaei. Safaei-Rizi, who is a general practitioner, noted that the results of the research showed that using the compounds derived from spurge plant, the growth and reproduction of breast cancer cells can be stunted and stopped by preventing from cell cycle progression and induction of apoptosis. He said euphorbia genus has very important therapeutic properties. The genus has been used in the production of a large number of chemical compounds. A total of 70 species of euphorbia have been identified in Iran, among which euphorbia Sogdiana, which grows in northeastern regions of the country, is of special importance. 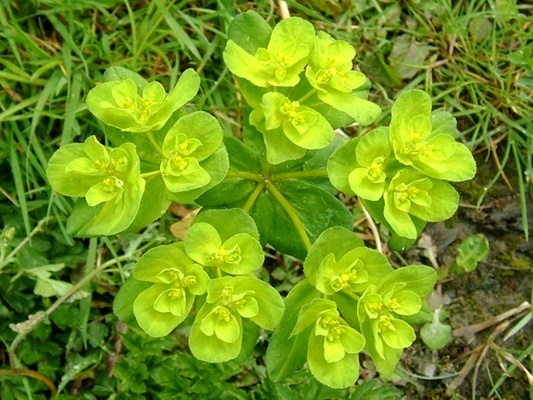 He listed the uses of spurge plant in traditional medicine as soothing nerves, relieving rheumatic pains and reducing backache adding it also has anti-inflammatory properties. The Isfahan-based researcher said his study was aimed at identifying the compounds in the plant and deriving them from it to form steroid and triterpenoid compounds.